Alright, Eli-- Feel free to skim. The buttons are also links. Some other things I'm proud of that are not included below are -- teaching theater to street kids in the Philippines, work with people with developmental disabilities (including starting the Murray Ridge - Oberlin College Alliance, which won the Murray Ridge Volunteer of the Year Award in 2012, 5 years after I graduated), producing for Oracle Productions, and being a member of Barrel of Monkeys. Welcome to the rabbit hole of my life and attempt to "summarize" it. ...taylorbibat.com contains "home," "about," and "resume" tabs. See bottom of "about" for pictures. 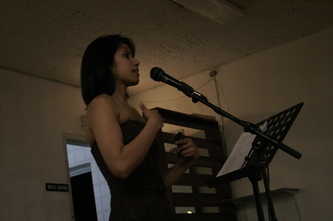 "I am a inter-disciplinary artist, producer, and educator with a firm grounding in performance. My work pours from the desire to tear down walls and facades and reshape society into a honest and trusting community of humans first and foremost. I create with an ever expanding tool belt of disciplines: theater, puppetry, dance, music, visual art, writing, event creation, and more. I am especially interested in the intersection of various art forms and how they can work together to express and touch. I produce from a place of love for creation and community. I am professional, compassionate, and behave with integrity in the spirit of cooperation. My formal performance training includes: Acting/Directing at Oberlin College, Musical Theater at CAP21 in NYC, The National Theater Institute at the Eugene O'Neill Theater Center, Circus Arts with Sylvia Hernandez-Distasi at the Actors Gymnasium, Clown with Paola Coletto, and Puppetry with Martin Robinson at The O'Neill National Puppetry Conference. Informal training includes more than I can fit in this box. I have been lucky enough to work as a teaching artist...Many of the happiest moments of my life. My work in fostering community began in college with The Oberlin commUNITY Fair, the Murray Ridge Oberlin College Alliance, and ArtsFest. In recent years I created Element: A New Plays Festival during which over 70 artists took turns eating, sleeping, rehearsing, and performing in an old church. Next was Kapwa: An Arts-Infused Benefit for Typhoon Victims in the Philippines which raised money to send food overseas. 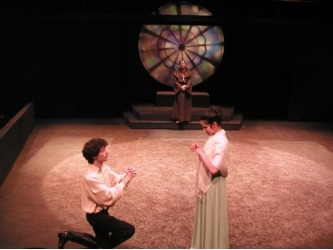 The last large-scale project I made was Crowded House: An Explosion of Shakespeare's The Winter's Tale which led an audience through an interdisciplinary experience of the story created by six teams of theater makers totaling over 50 collaborators. In her Chicago Theater Beat review, Melody Udell wrote (referring to Crowded House): "...it's the risk-takers who keep things fresh and open creative dialogue for the rest of us in the theater community. And that's certainly something to appreciate." Though I thrive on ambitious, formal projects I find extreme joy in connecting people and spurring mutually beneficial relationships. Noah Ginex Puppet Company (Puppeteer)"
projects I worked on between 2003 and 2010. ...feel free to check out my pictures-- may be good fodder for inquiry. How long have you been a puppeteer? What first brought you to the art form? I have been interested in puppetry since working will Bill Hubner at the 2001 Chicago Puppetropolis Festival as a teenager. This experience sparked my interest. I held onto a fascination with the art of puppetry for years, dabbling throughout college at Oberlin and the National Theatre Institute at the Eugene O’Neill Theater Center. After graduating in 2007, I started to pursue it as a career and have not looked back. You recently directed the Chicago International Puppet Theater Festival. Can you describe the experience of showcasing puppetry for your community? We also got to curate and host the Chicago International Puppet Slam which doubled as the closing party. At the end I brought everyone involved in any aspect of the International Festival on stage. At that point half the original audience was on stage and half was in the seats. I closed out the festival by having the audience show appreciation for the the artists and then having the artists show appreciation for the audience— because we obviously owed so much of the success of the week to them. It felt like a real communal moment of appreciation and celebration. What other kinds of projects have you worked on during your time in the world of puppetry? I have done a lot of table top/bunraku style. If I were to choose a favorite style, that would be it, though coming from a theatre background I tend to be excited about things that combine, explore, and challenge established styles. One thing I love about puppetry is the magic of cooperation and teamwork, so I tend to enjoy work that involves multiple people on one object. I have also performed “muppet style” puppets both for film and stage, coached and taught puppetry for theater, designed various styles of puppets for productions including shadow puppetry, and produced/curated work. Currently I am excited about exploring puppetry for film (both performing and producing), as well as working on my artistic voice as a solo performer. What do you hope festival-goers take away from your Faux Physics workshop at this year’s Geppetto Festival? I hope festival-goers gain a greater awareness of each moment and various elements that go into them. By thinking about Physics we will bring to light everyday forces that we take for granted and therefore re-familiarize ourselves with something we didn’t realize we forgot. Where can we learn more about Taylor Bibat? You can learn more about me at taylorbibat.com. Also, stay tuned to that site for breaking news about a new podcast I am creating called Puppet People (the Podcast)— set to premiere in Summer 2015. 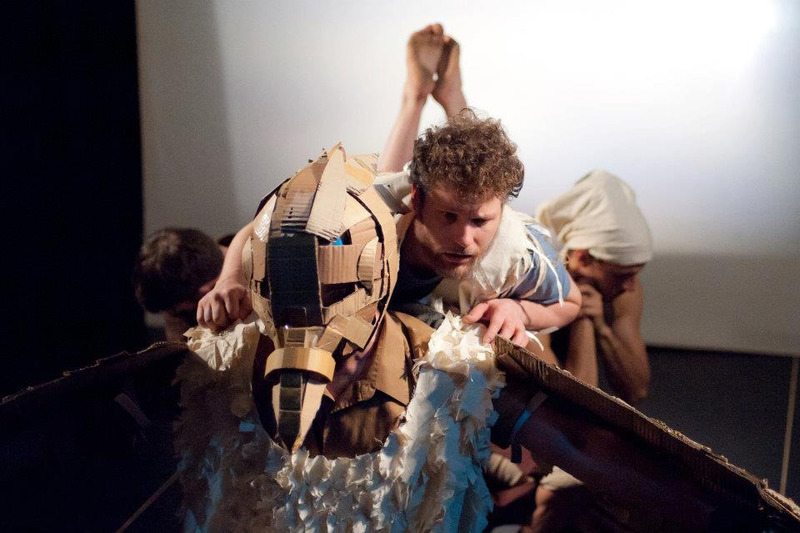 Workshop description: Taylor Bibat presents this exciting opportunity to build and expand your puppet and performance skills. This workshop uses the study of classical mechanics to assist puppeteers in manipulating objects in space with intention. Participants will learn to bring focus to the initiation and termination of movement, to explore the path and quality of movement, as well as the interaction of objects in motion. Participants will learn to use the physical laws that govern bodies in motion and harness the power of the forces that operate upon them. Those who attend The State Theatre’s production of Crowded House: An Explosion of Shakespeare’s The Winter’s Tale hoping for a somber evening filled with the Bard’s affecting prose are in for a disappointment. Crowded House isn’t for everyone, but that’s okay. It’s an interactive, disjointed, eccentric, visceral piece of theater — and a worthwhile experience. Every aspect of Crowded House is unexpected. Audience members, in groups of about 20, mill around at The Blue Line Lounge in Wicker Park before a tour guide leads a shuffling group around the block to the Wicker Park Art Center. Once inside, the guide leads the audience through the building. Each room is its own stage and set with a different group of actors performing or representing scenes from The Winter’s Tale. The actors perform without regard to the group that gathers in around them, filling in the nooks and crannies of each room to watch what happens next. The show is more concerned with personifying the resonant themes within the play — jealously, betrayal, repentance — than it is with clearly outlining the story. In the first room, we witness King Leontes’ maddening jealously over his pregnant wife, Hermione, and supposed lover Polixenes. Our guide takes us room by room to explore the topics that follow, loosely connected to the framework of the play. Each room has its own way of translating a scene and the themes that accompany it. Some scenes are bizarre and abstract without dialogue, and others are more interactive. One scene in particular involves a musical number, and audience members are given Dixie cups of wine to celebrate the engagement of Leontes’ daughter, Perdita, with Polixenes’ son, Florizel. But to recount what happens in each room is a disservice; the thrill of Crowded House lies in the anticipation of what will happen next. Each performance — which includes a cast of more than 30 actors — is real and evocative, at times a little too close for audience comfort. No detail is left without exposition; the show incorporates everything from tightrope walking to playing cards, miming and even Beyonce. Some rooms are certainly more effective than others at delving into Shakespeare’s gloomy tale, but all of them open up room for a little creative interpretation, a reimagining of the story as we know it. 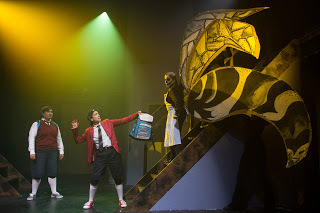 "...Juniors Adam Kander and Taylor Bibat, who brilliantly played the title characters, took this to heart and acted their parts accordingly. In Kander’s portrayal, the theme came through at the end of the first act when he was thrust into a duel with his newly-made cousin, followed at the start of the next act by a pathos-ridden breakdown when he learns of his banishment. With Bibat, we saw an adolescent inconstancy very true to her character’s age. Both actors were working to depict well-developed, believable characters. Creativity will thrive 24 hours a day in Wicker Park next week. From September 7 through 13, theatre artists and alumni from the Eugene O'Neill TheaterCenter's National Theater Institute (NTI) will collaborate with established members of Chicago's theater community for Element: A New Plays Festival, a script development intensive that was conceived and produced by recent NTI graduates Taylor Bibat and Alexis Randolph. 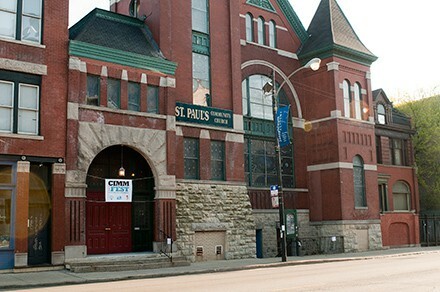 And creative energy and activity for 24 hours a day is the goal, as the artists will spend the week in a communal living and working environment at the newly-opened St. Paul's Cultural Center in Wicker Park. The space includes a kitchen, rehearsal rooms (or "think tanks"), and performance space. The rare communal aspect of the festival is meant to encourage and establish a heightened level of intensity, intimacy, and focus. Element kicks off with a workshop and orientation, followed by six days of rehearsals and nightly public readings. Doors open to the public each night at 7 p.m. Highlights of each evening will include a pre-reading activity where the audience and other festival participants may plant sunflower seeds they received as publicity material; a post-reading talkback; and an eat, drink, meet, and greet. Chicago theater actress, Taylor Bibat, has been performing on stage since she was a little girl. Raised by a Polish mother and Filipino father, Bibat says although she was raised as an American, she always felt a need to reconnect with her Filipino roots. “My Filipino side is the side that feels dominant,” says Bibat. Bibat showed that affinity for her heritage when she organized “Kapwa” with other local Filipino groups. “Kapwa” is a Filipino word that roughly translates to “neighbor.” The art-infused charity event raised $3,000to send to victims of a string of typhoons that struck the Philippines in September and October. Bibat recruited numerous Chicago theater groups, such as The Redmoon Theater and Blair Thomas and Company, to support the event. Co-built this for Columbia College. I'm mostly on the woman's feet. Taylor Bibat, Age 8. This is clearly made in the early 90's.